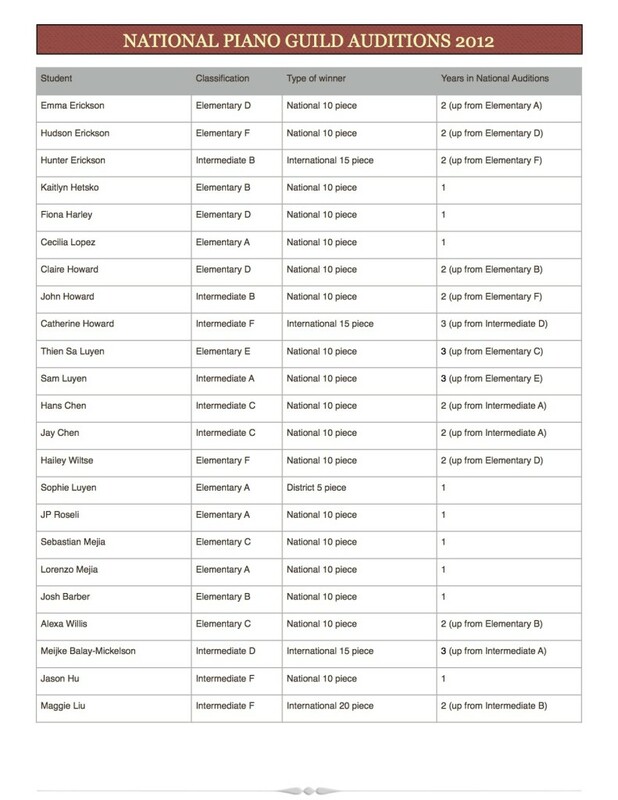 Congratulations to the following winners in the 2012 National Piano Guild Auditions. 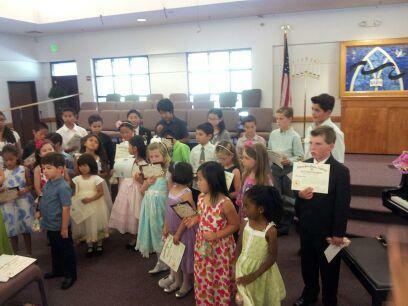 This year, we have 22 Gold winners (National and International programs) and 1 District winner (5-piece program). Every program presented was memorized, and some consisted of Musicianship phases including Scales, Arpeggios, Chords/Cadences, Transposition, Ear Taining and Sight Reading. 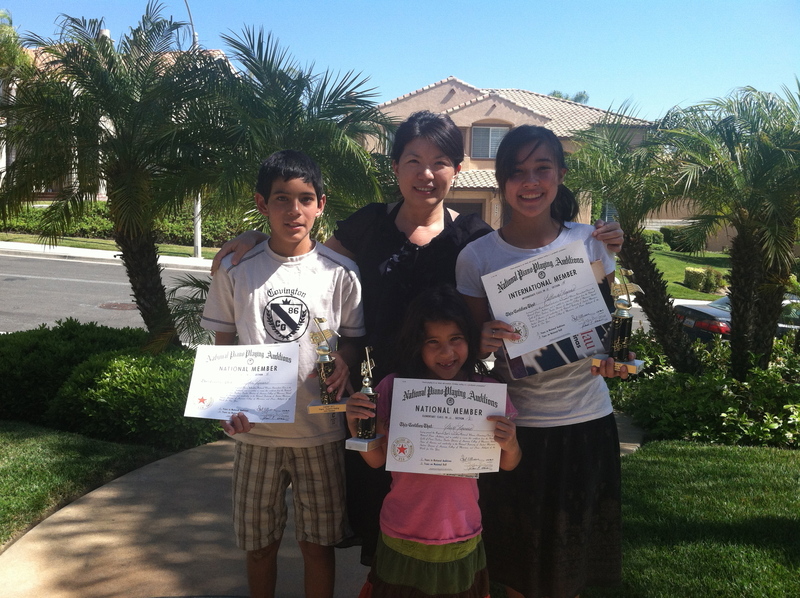 The youngest students who auditioned were JP Roseli, Sophie Luyen, and Cecilia Lopez, at age 5. 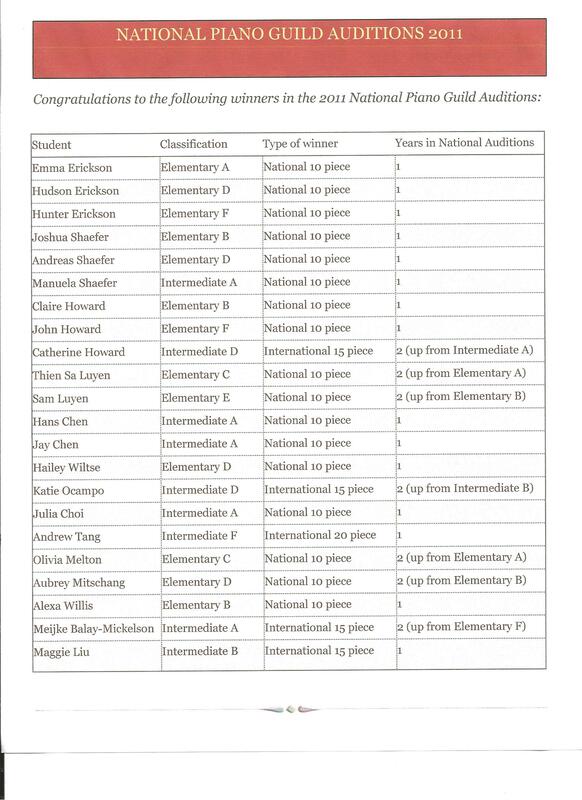 Everyone scored a minimum of Superior Minus rating, 11 students scored above 28 Commendations (Superior Plus rating), including 4 International programs (Hunter Erickson, Meijke Balay-Mickelson, Maggie Liu, and Catherine Howard), and the highest score went to Maggie Liu, who presented an International 20-Piece Program at Intermediate F level and scored 44 Commendations! I am very proud of everyone! See the following table (not in any particular order).